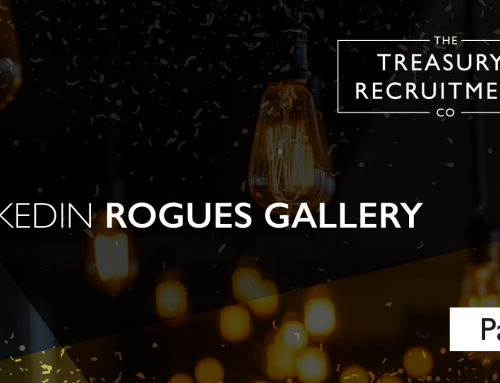 Investing in Your Treasury Career - The Treasury Recruitment Co. Oh!? – you think. Well, I wasn’t really planning that far ahead. Even if you are a little more prepared than that – can you honestly say you have a clear plan set out for the next 2, 5 or even 10 years time? If you do have a plan, is that your plan or the plan set out for you by your company? And if you know where you want to be, do you actually know how you are going to get there? This is the position many professionals find themselves in and it is very dangerous territory. To not have a clearly thought out career investment strategy means you are essentially passengers on your own ‘career train’, hurtling down a long-deserted track with no clue where you’re headed and no way of stopping. You’ve either got to get off that train or get up-front and become the driver. But let’s forget the analogy for a second and consider this in practical terms. Investing in a realistic and robust career plan can offer a multitude of benefits; increased job satisfaction, new career opportunities, enhanced self-development, a greater sense of fulfilment, and not to mention, inevitable higher earning potential. Well, you can sign yourself up, and here’s how. Like with most plans, you need to start with the end in mind. Think about where you ultimately want to be. What is your goal? This does not need to be where you see yourself at the end of your career before a happy retirement. You should consider this in manageable, bite-sized chunks, so 3 to 5, or even 8 years from now. However long you decide is right for you, you need to be specific. So what job title do you want? What do you want your key responsibilities to be? What size and type of company do you want to be working for? Now you know where you want to be, next you need to understand how you are going to get there. What positions or ‘stepping stone roles’ will enable you to achieve your goal? To help you gain clarity with this, it is important to do your research. LinkedIn can be a fantastic tool here to provide you with insight into the backgrounds of people in similar, aspirational roles. What career choices did they make? How long did they remain in each role before they moved on? The final piece of the puzzle is then to assess your current role and where you are today. Understanding your strengths and achievements is important, but perhaps even more key is to identify your weaknesses. What is holding you back from achieving your goal? Do you need to expand your experience further in a specific area? Do you need additional training? Once your plan is in place, do not stop there. Make sure you regularly review your progress. You may need to modify your plan, add new stages in or change the timeframes. As Treasurers, when you think about skills development, the first thing that probably springs to mind is qualifications. And so they should. 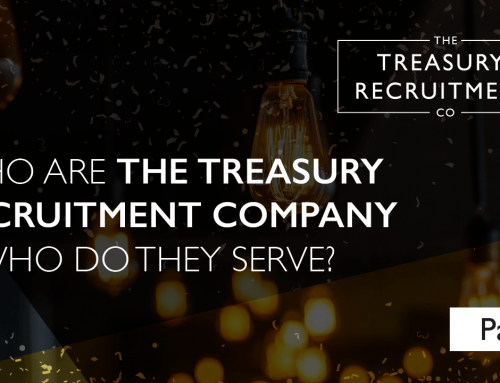 The importance of qualifications within the Treasury industry specifically, cannot be underestimated. The pace of change is so rapid and the market so competitive that without certain notches on your belt, you may very well get left behind. But beyond this, and to truly remain relevant in the industry, you need to be focused on the idea of continuous learning. The level of information that is accessible these days, means the pace of learning is faster than ever. In fact, IBM predicts that by the year 2020, knowledge will likely be doubling every 11 to 12 hours. Training courses focused on specific skills are a great way to do this, but perhaps even more valuable is the concept of ‘renewable learning’ – so ongoing or in the moment learning offering immediate knowledge to assist with a given task or problem. 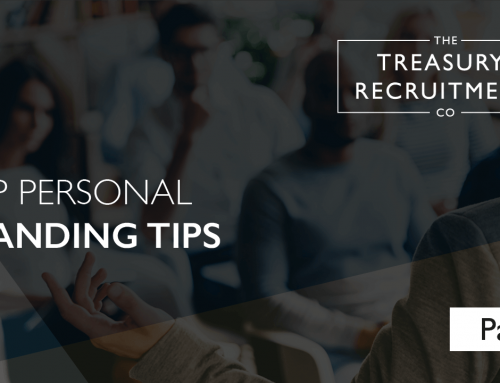 The added advantage with this is that you can avoid the hefty price tags and investment in your time, often associated with organised training courses. Use the tools that are available to you including peer-based knowledge, relevant articles or blogs, podcasts or even YouTube. All these are at your fingertips, so take full advantage. 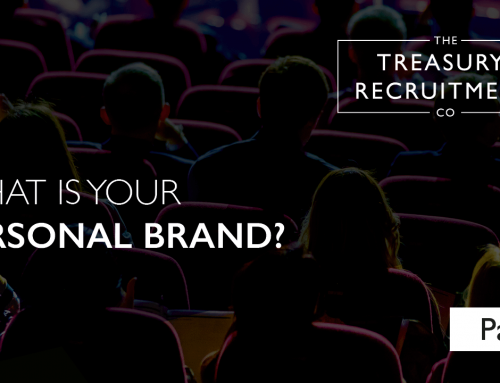 Your Personal Brand is essential to career success. In a time before social media, this would be called your reputation. It took years of dedication and hard work to build. Today, it is a different story. You can create a brand in minutes and destroy it in seconds. From an online perspective if you have a LinkedIn Profile, a Facebook or Twitter account, if you have ever added a photo to Instagram, or posted an article – you reveal aspects of your personality which define who you are and which form the building blocks of your brand. Your offline brand is just as revealing – that is you in your everyday environment, in your workplace, at networking events, during speaking engagements, how you interact with your colleagues, your peers, your bosses. It is how you present yourself to those around you. How you’re perceived by your audience, whoever they may be. So, whether it is your on or offline brand, you all have one whether consciously built or not and to neglect it, could spell career suicide. Your personal brand needs to be authentic and portray the ‘real’ you. You need to identify what sets you apart from the competition and promote it. What is your ‘unique value proposition’ (UVP)? And you need to be consistent. Consistency in everything you do from your behaviours to your values, your language and your identity. This will allow people to get to know and have confidence in you. Without it, your audience will be confused by your message and possibly lose trust in you. Coaching and mentoring can be one of the most beneficial investments in your personal and professional growth. In fact, a recent study of Fortune 500 CEOs showed that 75% listed mentoring or coaching as one of the top three critical factors for their career success, whilst 80% of FTSE100 CEOs claimed to have benefitted from investing in a mentor or coach throughout their careers. So the evidence is there, but what are they and what do they do? These two roles often get grouped together when in fact they are very different. Before starting out on the hunt for a mentor or a coach, it is important to understand the differences between the two to determine which will work best for you. Coaching is task-oriented, so focuses on specific areas of development, for example improving negotiation skills, thinking more strategically, managing more effectively. Mentoring is relationship oriented, so a safe-haven to share a range of issues that may be impacting you on a professional or personal level. For example, how to achieve better work/life balance, build your self-confidence or improve your self-perception. Generally coaching is short-term versus the mentor/mentee relationship which may span decades. It is also a great misconception that mentors or coaches are in greatest demand at the beginning of one’s career. This can be true in many circumstances as they are perfect to guide you in the right direction and provide advice and support. 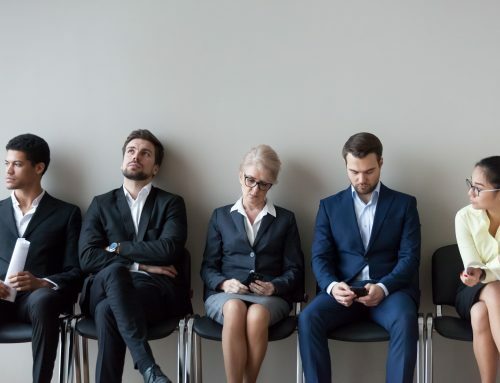 But they are just as important at the middle phase when you need to refine your skills, expand your networks and stay on track with your career plan. Equally at the latter stages to provide you with fresh perspectives and when you need someone to challenge your past way of thinking. So whichever you decide is right for you, start now and make that investment. The term ‘Networking’ can send many of us running for the hills while others, can’t grab their box of business cards fast enough. Whichever camp you fall into, networking and growing your connections is an inevitable by-product of your day job. Those that do it the best however, are often the most successful. OK a big statement to make, but when you invest in your relationships, both professional and personal, then it pays you back throughout the course of your career. A key way to develop your networking skills is by mastering your ‘Elevator Pitch’ – this is the way in which you introduce yourself and what value you offer through doing the job you do, in the time it takes to go down an elevator. So anywhere between 10 and 60 seconds depending on how big the building is. It sounds straightforward and something on the face of it that is easy to do. Well, I’m sure that at some stage you have all been there when you’re asked that simple question “What do you do?” – The mind goes a bit blurred, you start talking, the talking turns into a babble, the babble into a waffle and the person who asked you the question starts to look around to see if they have a way to escape! OK, so that’s the extreme. But if you don’t master your pitch, you will “lose them at hello..” and the impact of that on your personal brand and reputation, could be hugely detrimental. 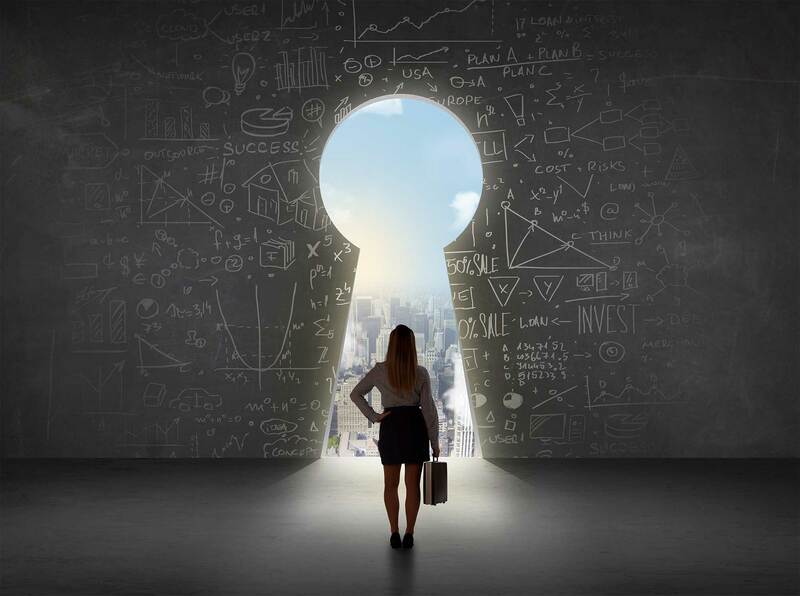 So there you have it – 5 top tips on how to invest in your treasury career. Hopefully now if your manager asks about your career objectives, things will be a lot clearer.